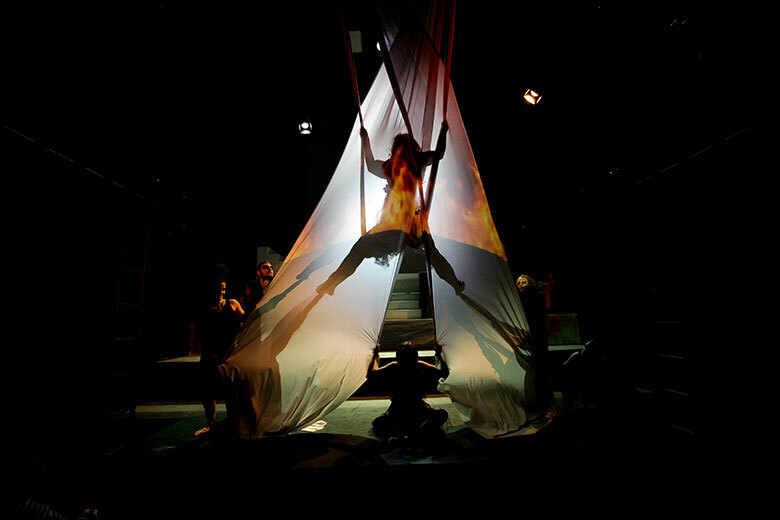 A devised piece based on the myth of Persephone's descent into the underworld; created with East 15's BA Physical Theatre students for their 3rd-year Ensemble Performance Project. "An atmospheric production, leavened with humour, with an intense visual poetry and rich theatrical language. We were transported to the Underworld of Myth."